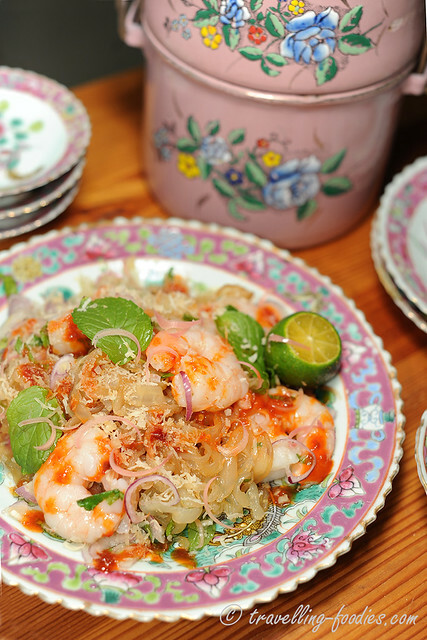 Kerabu making is part and parcel of Penang Peranakan cooking, owing much to the influence from Thai cooking. 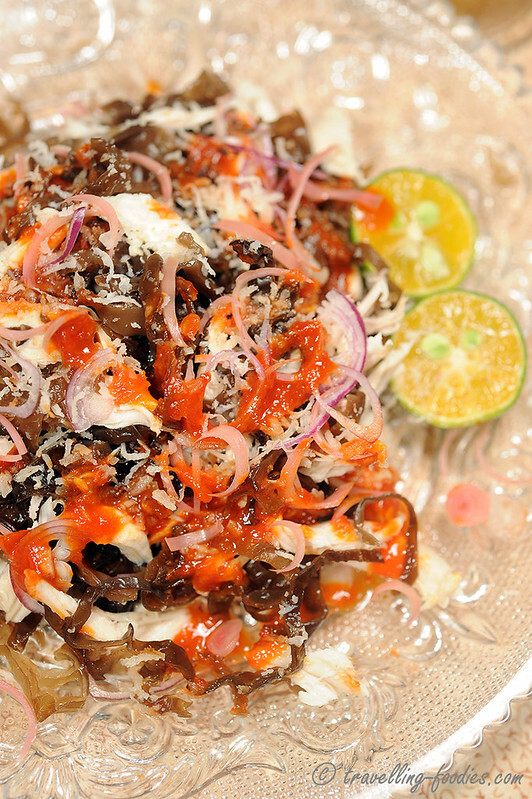 I love love love Kerabu Kacang Botol for the crunch which the winged beans have, on top of the freshness they render without any hint of the harsh rawness which some vegetables have. It is for the same reasons that I like Kerabu Bok Hnee as well! 木耳 Bok Hnee is the Hokkien anglicisation of “cloud ear fungus“, to literally mean “wooden ear” owing much to its appearance. It is a very common ingredient used in Chinese cooking and typically comes in two forms. The “white” form 白木耳 which is actually more translucent is softer and has an almost jelly-like consistency, thus making it very suitable for desserts. 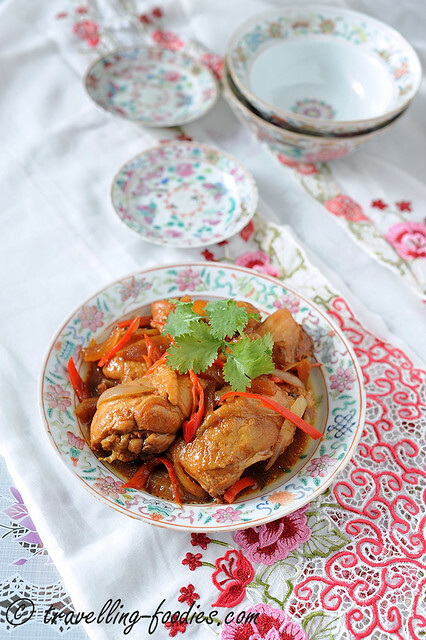 The “black” form 黑木耳 is more resilient to cooking and thus lends textural contrast to accompany vegetables dishes like Nyonya Chap Chye where the rest of the vegetables are cooked until very soft. This month’s MFF brings us to Sabah, the Land Below the Wind. Admittedly, I do not know anything about Sabah nor its culinary heritage. So I guess its going to be a month of “copycating” around. 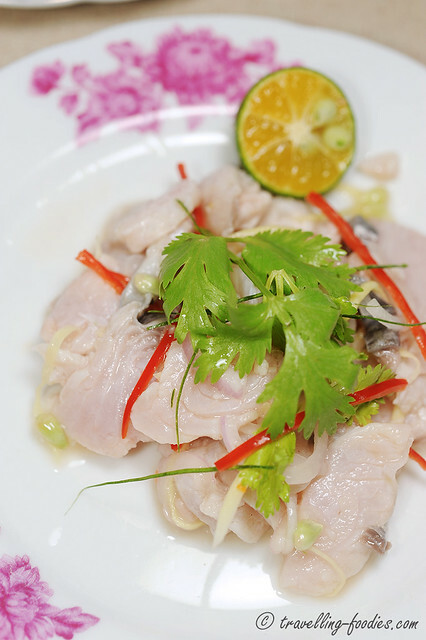 While searching for over the internet for interesting Sabahan dishes to prepare, I came across Hinava, a raw fish salad made with few other items, and mostly readily available at hand. 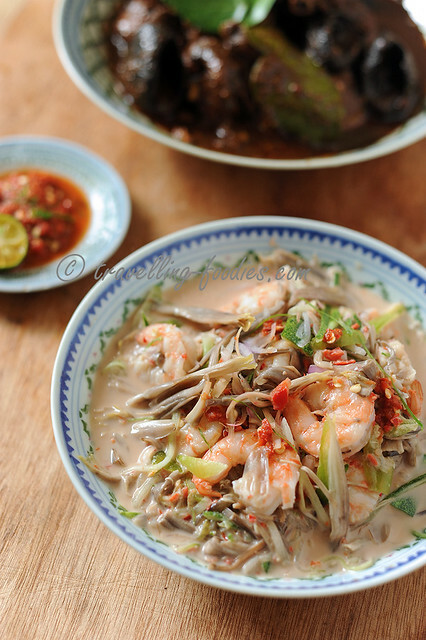 It seems that simplicity in ingredients and technique is an ideology perpetuated in Sabahan cuisine. While some may dub it as being primitive and unsophisticated, I choose to think that the minimalistic approach actually maximises the experience of the true flavours of each ingredient. Less is more.